This home welcomes you the minute you drive up to it! The concrete stamped walkway leads you to the concrete stamped large covered country porch with maintenance free rail. Enjoy this for relaxing on the warm summer evenings. Totally updated by the current owner: windows, roof, kitchen, baths, mechanicals, flooring and much more. Excellent condition and not a thing to do! 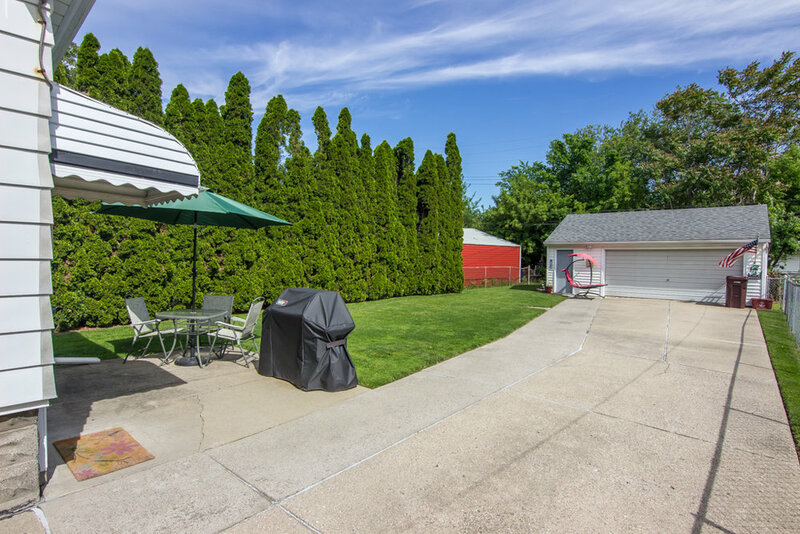 Oversized garage with workshop, large fenced in private yard giving you great space for family gatherings! All appliances stay, very clean and dry basement. One look and you will want to call this home! Great access to shopping and expressways.